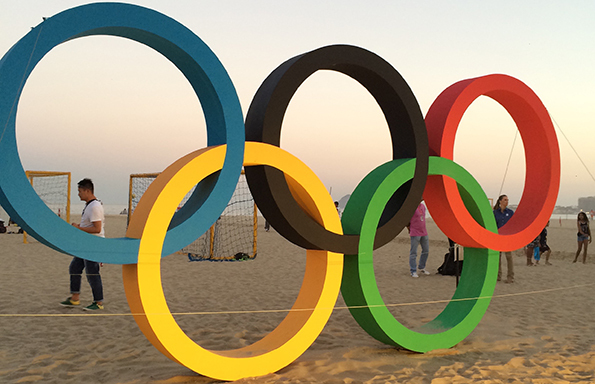 With just a few days to go until the Rio 2016 Olympic Games are over, find an overview of key moments that capture some of the many cultural dimensions of the Olympic City. 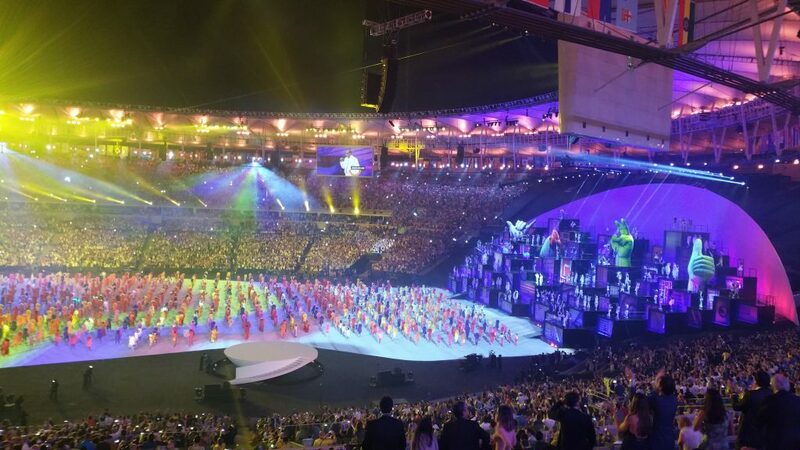 The Rio 2016 Opening Ceremony operated a budget a third the size of London’s in 2012, which in itself was a considerable reduction on Chinese spending at Beijing 2008. 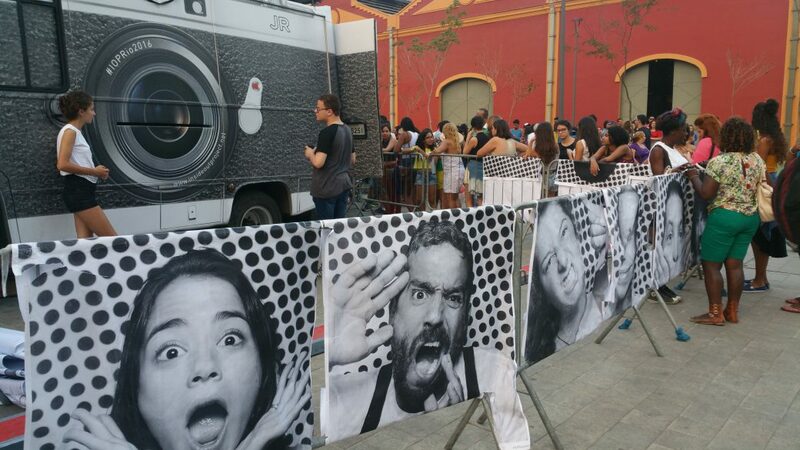 This meant Brazilian organisers needed to maximise resources and find alternative, more affordable ways to create a spectacle. Fortunately, Brazilians have enormous capacity to make something out of nothing. This has been a constant throughout preparation for the Games, particularly the cultural components which have been delivered with near zero budget. 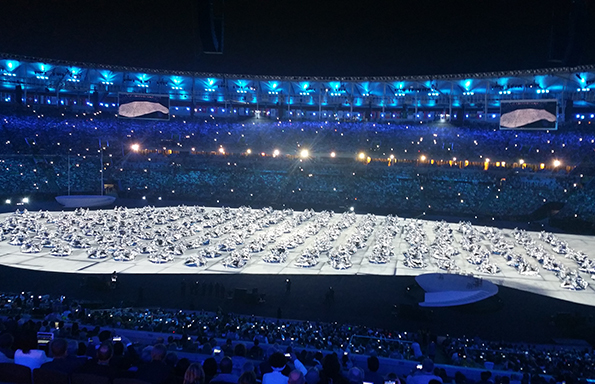 Look above and below at a segment of the Opening Ceremony where beautiful shapes where created by simply moving sheets of shiny plastic. The Brazilians call this capacity for inventiveness ‘Gambiarra’. 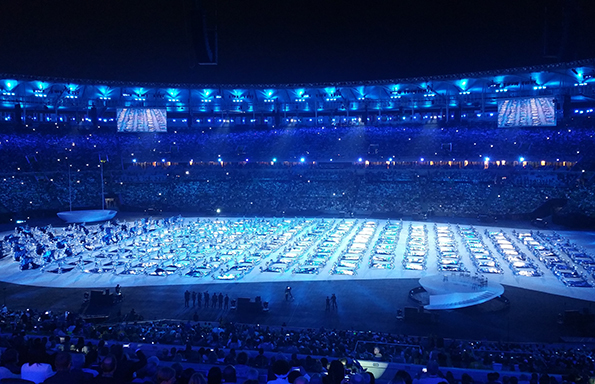 The Ceremony also incorporated various memorable messages unique to Brazil, such as its vision of itself as the garden of the planet that has been progressively ravaged by peoples’ arrivals from all over the world, followed by excessive urbanisation and unsustainable ways of living. Rio 2016 has been the first time such strong messages feature in an Opening Ceremony, which included a full segment dedicated to warning about the dangers of excess carbon dioxide emissions and climate change. The dangers and extremes of urban over-population have another side through the creativity they trigger. Pop culture and music in particular was showcased as a vehicle for people’s empowerment in crowded and divided cities. 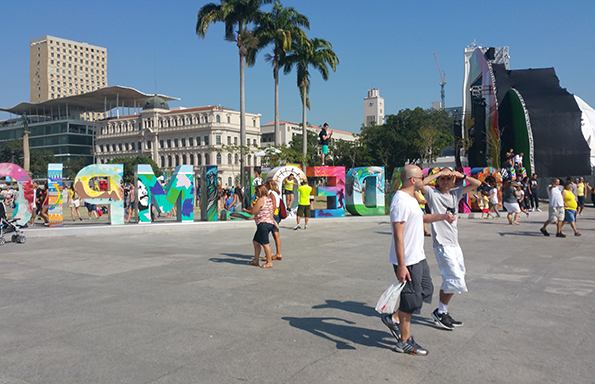 The constantly evolving musical expressions of diverse neighbourhoods in Rio were presented alongside the best known expressions, such as Samba. 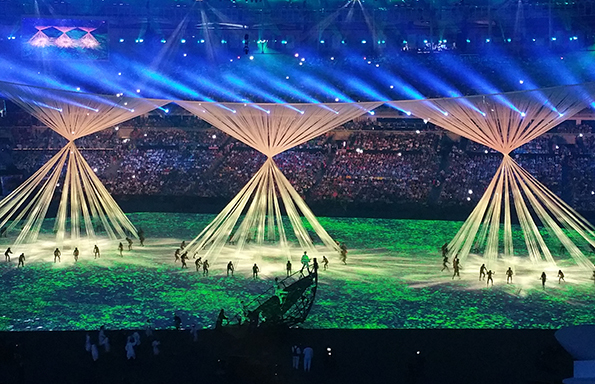 Rio decided to start its Games in the way most other hosts only dare end them: with a party. For the first time, the International Olympic Committee (IOC) has commissioned artists to present their work during the Games to establish a clear conversation between sporting and artistic excellence. 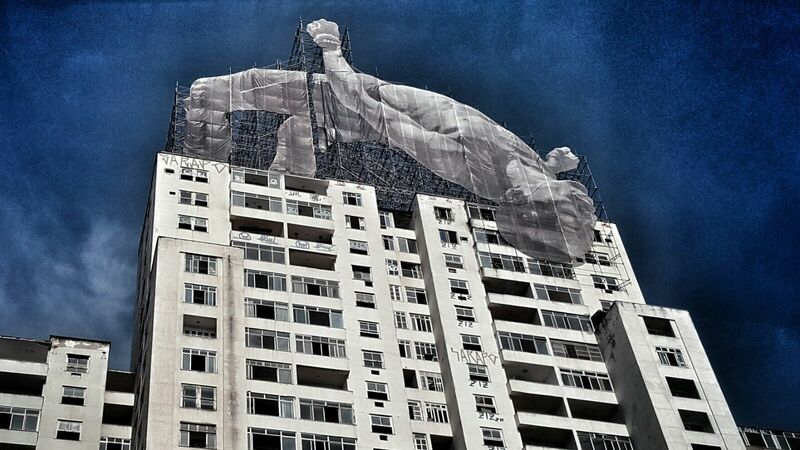 French artist JR has been making interventions throughout the city; from large scale photo sculptures (Giants, above) to the very popular project Inside Out, where photographs of people are created and used to cover full buildings. A full analysis of the Artist in Residence programme is available here. Most sporting activities take place in a range of Olympic Parks, away from the city centre. 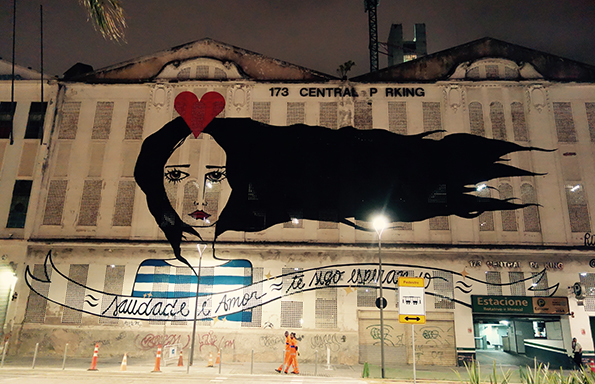 But the party is happening at the heart of Rio and the Olympic Games has been used as a catalyst to create new public spaces available for mass gatherings and celebration. The old industrial port close to the city centre, Pier Maua was considered a dangerous no-go area for decades but has been fully revitalised and transformed into a new space for cultural activity. This will be one of the most important cultural legacies of the Games, including a new iconic venue by ‘star-architect’ Santiago Calatrava – the Museum of Tomorrow. During Games time, this area acts as the Olympic Boulevard and is considered the largest ‘LiveSite’ to have been created for an Olympic Games since the tradition started at Atlanta 1996. 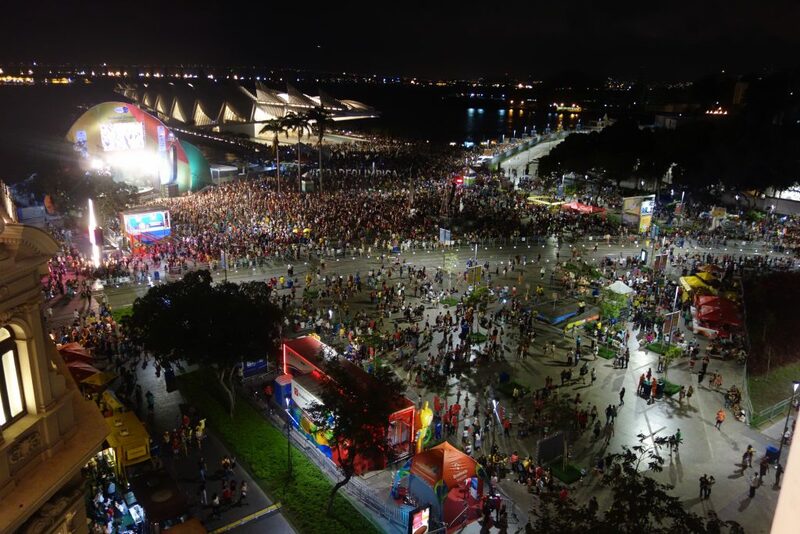 It is the base for large screens that broadcast sport competitions, as well as cultural events, for those who have no tickets but want to gather and have a party. 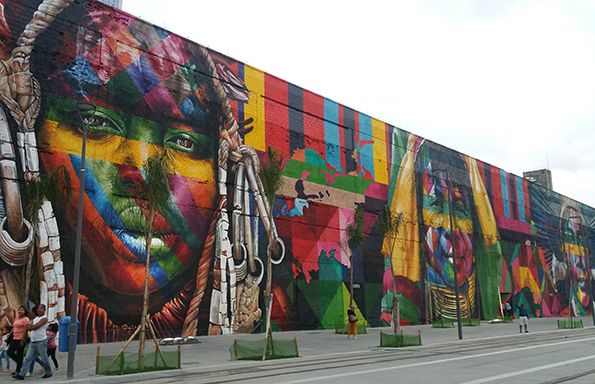 The Boulevard includes a large piece of graffiti by Brazilian artist, Kobra which has picked up a Guinness World Record for the largest graffiti produced by a single artist. The artwork displays five large faces representing the five continents. It is one of many art contributions around the city inspired by the Games. 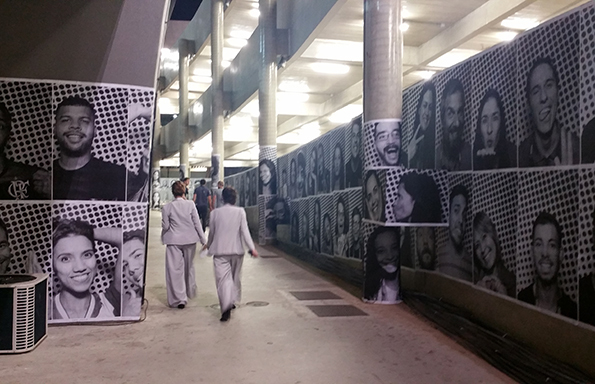 Other pieces of public art on display around Rio are also making a large contribution to the attractiveness of each area. Artists have been inspired by the Kobra murals and made their own proposals to take over as many buildings as possible in an area that was considered ‘no-go’ up until a few months before the Games. 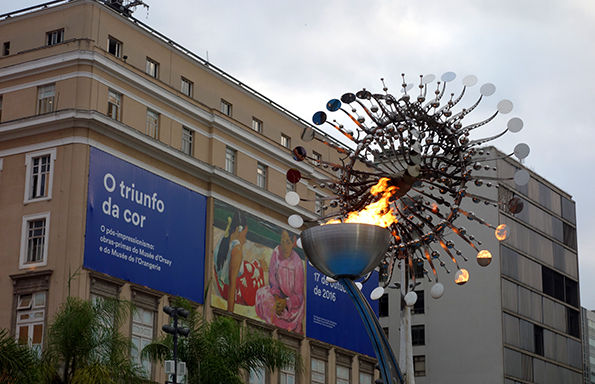 Rio followed the initiative of Vancouver’s Winter Games to become the first summer Olympic Games to place a copy of the Olympic Cauldron outside the stadium for everyone to access. This is an important gesture designed to extend access to the symbols and icons that most residents and visitors would like to experience. 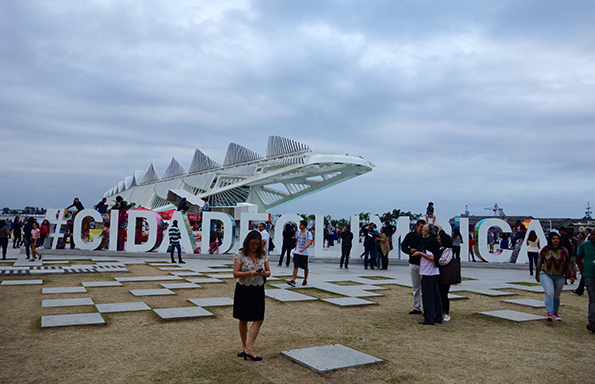 The cauldron itself aims to make a point around reducing the size and scale of Olympic interventions. It is a small artefact, compared with previous cauldrons, which reduces the amount of emissions but enlarges the effect of the Olympic flame by incorporating a kinetic mirror sculpture to multiply reflections. It has become one of the most sought after spots for selfies. 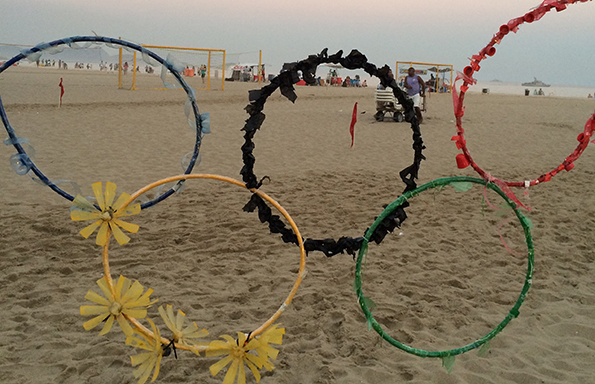 The Olympic rings on Copacabana beach are the other most sought-after spot for people’s selfies and pictures. Other versions of the rings have been created by community projects and school initiatives. The favela of Rocinha is one of the largest and best located in Rio. The pacification process that has pushed the drug lords away has enabled greater government intervention in areas such as education – with the creation of the first large public Library in a favela – and the opening of a metro station, also a first for any favela. 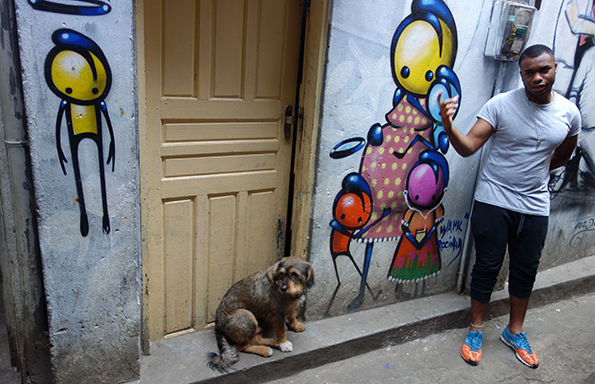 Cultural life in the favelas is strong and there is a clear sense of community. Here, residents have been ambivalent about the Olympics. They recognise the benefit of having the library and the metro, and understand this has come about in part thanks to the Olympic Games city improvement planning. However they feel they have not been sufficiently involved in shaping or being represented within the Games’ cultural narrative. 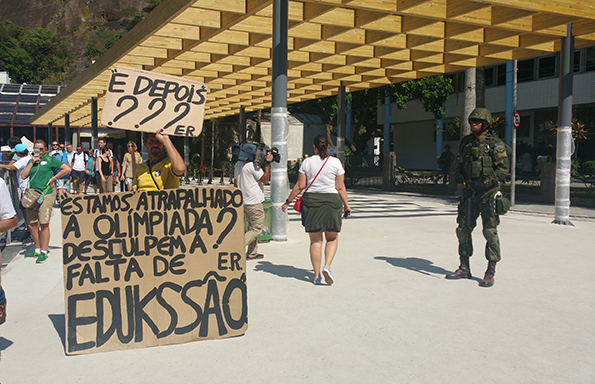 Activists have also taken to the streets to use the momentum generated by the Olympics, and accompanying global media, to take a stance and attract attention to ongoing or unresolved issues. This protester was located in the Sugar Loaf area (one of the city’s iconic sites) to coincide with the arrival of the Torch there, and make a point about lack of funding for education.